Critter-Maxx is a 100% organic repellent product that is considered safe for use in and around your vegetable garden to protect against moles, voles, and gophers. This is not a poison, it will not kill pests, only repels them. The ingredients are on the EPA’s 25(b) list of known safe repellents identified and regulated by the FIFRA act. 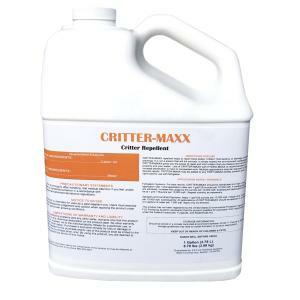 Critter-Maxx is not systemic so must be applied frequently to the problem area. Can be applied through an EZ-Flo injector system, a hose end sprayer or a pressure tank sprayer. Suggested first time application rate is one gallon per 10,00 square feet, then maintain at one pint per 10,000 square feet.